Low Voltage Cables come in a variety of sizes, materials, and types, each particularly adapted to its uses. Cables consist of five major components: conductors, insulation, armour, termite protection and protective outer sheath. The makeup of individual cables varies according to application. 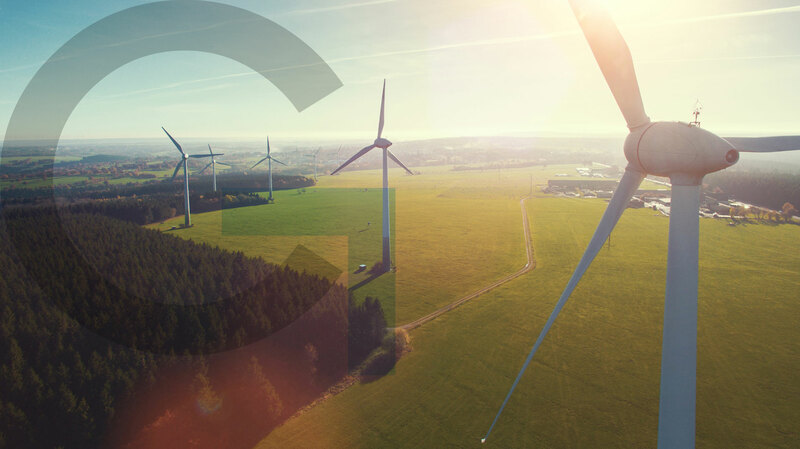 Environmental conditions such as temperature, water, chemical or sunlight exposure, presence of rodents and termites and mechanical impact determining the type of armour and termite protection, composition of cable outer sheath. 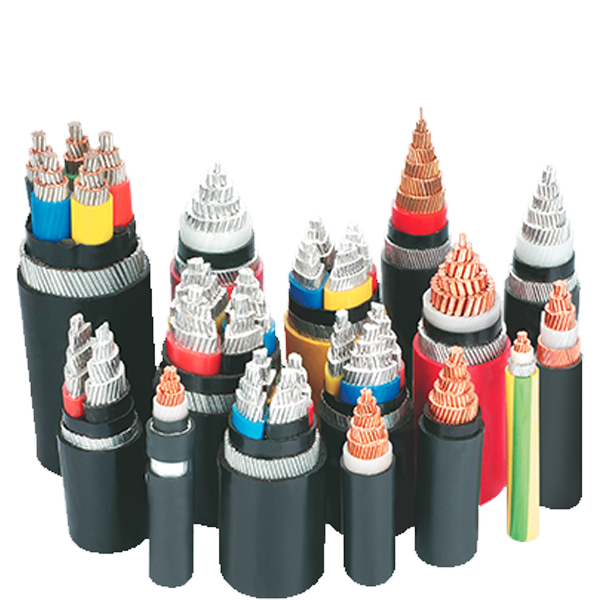 LV cables use stranded copper or aluminium conductors. although small conductor of cables may use solid conductors. The overall assembly may be round or flat. Non-conducting filler strands may be added to the assembly to maintain its round shape. Special purpose LV cables for overhead or vertical use may have additional elements such as steel structural supports. Some LV cables for outdoor overhead use may have no outer sheath. 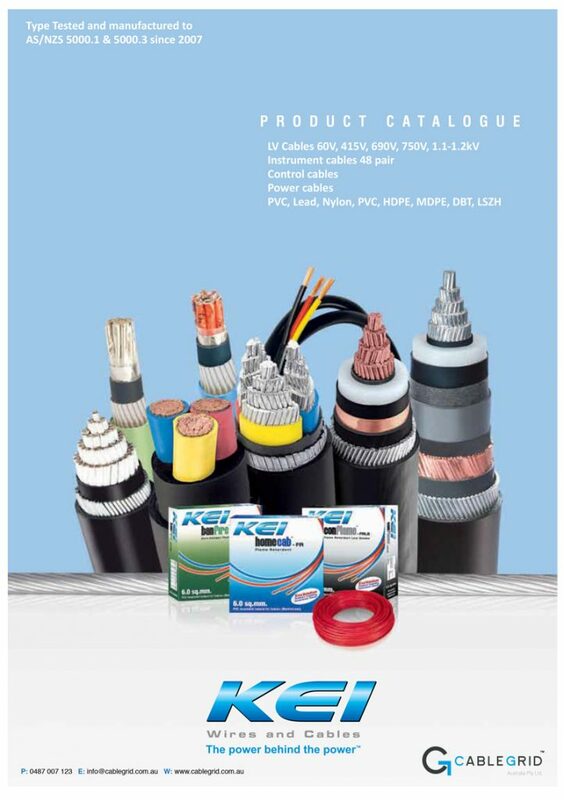 LV cable is used widely in many industries ranging from industries involved in water, renewable energy, distribution and power networks, nuclear and thermal power stations, airports, marine, defence, telecommunications, windmills, building, mining, offshore applications, ship wiring, railways, automation, audio-visual and manufacturing industries, these cables are used for wide range of applications. Cross-linked elastomeric/ Reduced fire hazard/ PVC/ Polyolefin material insulated cables conforming to AS/NZS 5000.1, AS/NZS 5000.2, AS/NZS 5000.3, AS/NZS 2276.1, AS/NZS 2276.2, AS/NZS 2276.3, AS/NZS 3560.1, AS/NZS 3560.2, AS/NZS 3013, AS/NZS 4961, AS/NZS 4026and customer specific requirements. Lead alloy sheath, Aluminium or Stainless-Steel sheath, Aluminium Polylaminate tape, Copper tape screened, SSWA, SWA, AWA, Nylon 6 and 12 jacket termite protection, Brass tape termite protection, Cypermethrin termite repellent, PVC sheath, LDPE sheath, HDPE sheath, MDPE sheath, elastomeric sheath and Reduced fire hazard material sheathed. Our LV cables are manufactured at state of art manufacturing facilities proudly accredited by NABL, which forms a part of the NATA (Australia) Mutual Recognition Accreditation Agreement for testing cables. Our LV cable products are suitable for wide range of operating temperature ranging from -40°C to +90°C. Best suited for fatigue damages caused due to vibration or loading cycles. Exhibits excellent electrical, flame and heat resistance. The cables are also exceptionally resistant to grease, mineral oils and ozone. Manufactured to AS/NZS 5000.1, AS/NZS 5000.2, AS/NZS 5000.3, AS/NZS 2276.1, AS/NZS 2276.2, AS/NZS 2276.3, AS/NZS 3560.1, AS/NZS 3560.2, AS/NZS 3013, AS/NZS 4961, AS/NZS 4026 and other applicable AS/NZS, IEC, BS, EN, VDE, DIN, ASTM Standards.